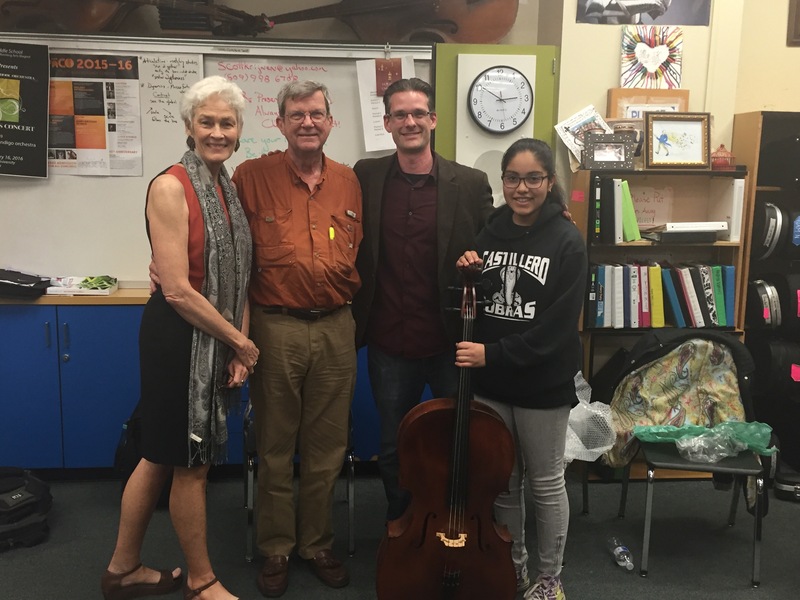 Faith and Roy Prigge on YB Music Haul, CU Tenure, CMC Workshop and Everything In-Between! Nicholas Skrowaczewski on Farewell, Bear! 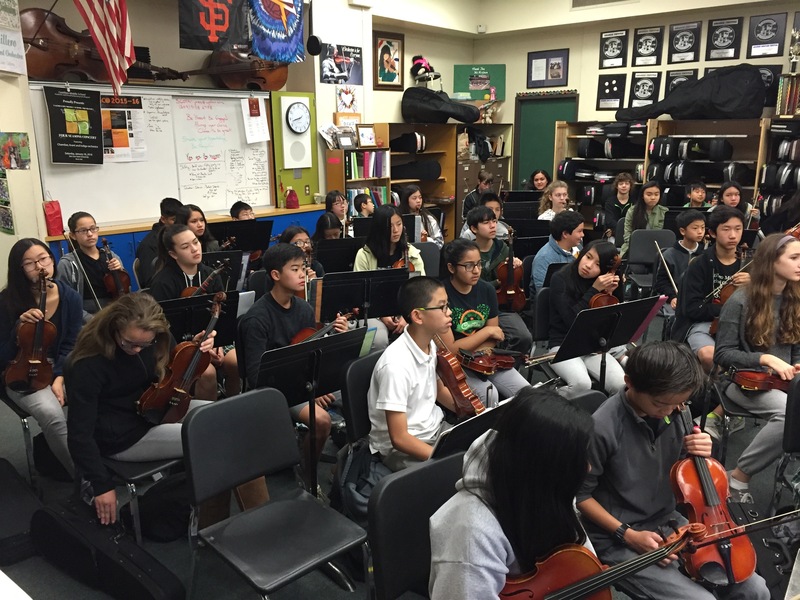 Earlier this week, I returned, as I have now for several years, to serve as a volunteer in Mr. Scott Krijnen’s extraordinary string orchestra classroom at Castillero Middle School in San Jose, CA. 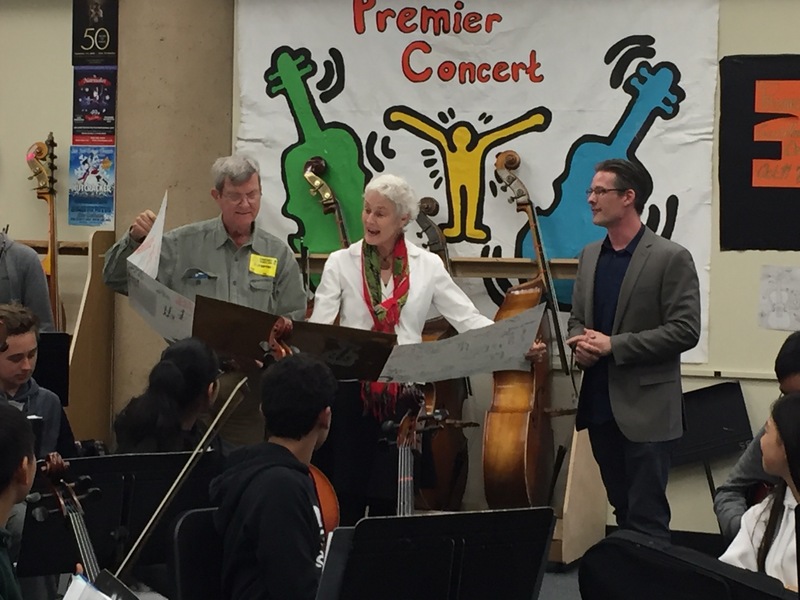 Each year I am humbled and inspired by Scott’s uncompromising dedication, drive, and exceptional ability to relate so beautifully to the world of middle-schoolers. Although Castillero is a Title 1 school (a program established to assist low-income families with school costs) and many of the 300+ kids who pour through his door everyday come from far-from-ideal home situations, one would never know. Through instilling true self-belief, boundless energy at the podium, reaching beyond the classroom and into the hallways, and demanding excellence — not only on a musical level, but on a human one — Scott has, through positive inspiration, transformed these students’ lives. 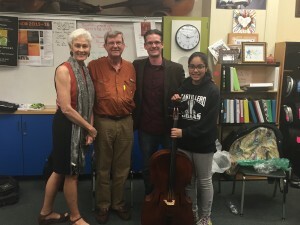 My time this year at Castillero was particularly special; I was privileged to be a part of the bestowal of a cello that once belonged to a dear friend — Corry Rankin, who left this world in a flash all too soon some 13 years ago — unto Scott’s orchestra program. Drs. Trudy and Larry Rankin, Corry’s parents, had been the stewards of Corry’s second cello (the “Sparks” cello (made by Tom Sparks of Indiana University)) and when they learned of Scott’s program and approach to bringing the arts into the next generation, it was decided: Corry’s cello would be donated to the Castillero Orchestra Program. It will now be given to a deeply deserving and dedicated student-citizen each year. 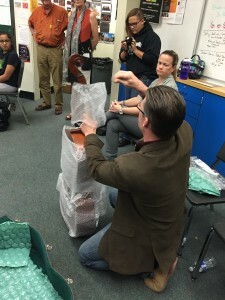 The Rankins flew to California from Florida to deliver the cello and share the story of the instrument with each of the 7 orchestra classes; being witness to the education, grace, and paying it forward that occurred has left a forever-lasting mark for me, and likely for nearly every student in that room. It is because of people like this and the beautiful kindness and generosity they show to those around them that allows one to realize and see, there is still so much good in the world. A most giant thank-you card from the kids at Castillero to the Rankins!